Cheers. . . . Hand painted watercolor beer toast -- with of course a baby bottle joining in! -- on a wonderfully rustic background. 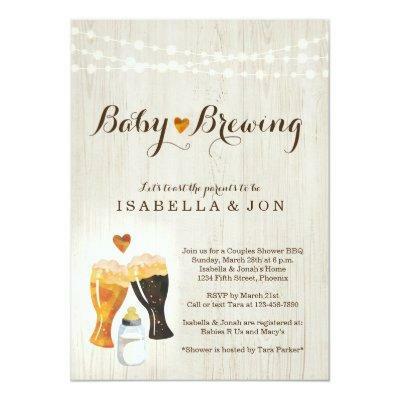 Coordinating Baby Predictions, Books for Baby, RSVP, Details, and Registry cards as well as other items are available in the &#;Rustic Brewery&#; Collection within my store.